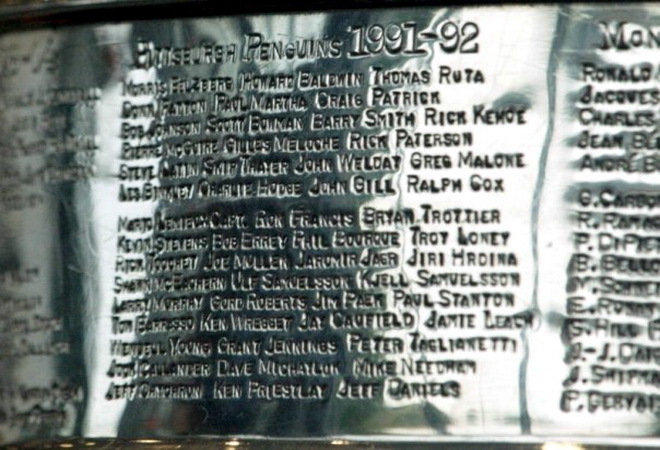 On July 12, 2009 Pittsburgh Penguins won the most famous hockey trophy for the third (after 17 years, 1991,1992,2009). How it is used to be, every player of team has a claim to spend several days with the Cup in his country. 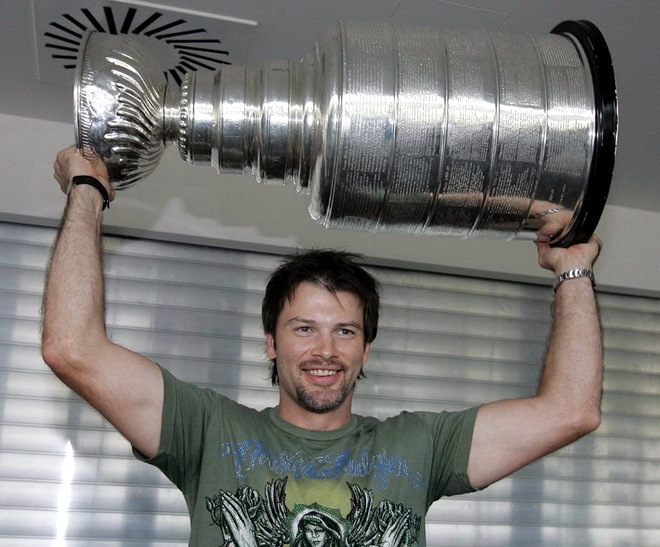 Thanks to that this year the Lord Stanley's Trophy got to the Czech Republic, because since 1990 at least one czech player has always played every season for this team (the first czech player was Jiri Hrdina), and this time we are greatful to Petr Sykora for the possible to meet with Stanley Cup. At first he showed the Cup in Brno and then in Plzen. We had a lucky to get to Brno. I would like to share this experience with you. There were almost 300 fans. After traditional hoist of cup above head there was signing. Even many fans, who waited for autograph, Petr Sykora signed the hockey cards, jerseys, hats and other suvenirs with smile and tirelessly. 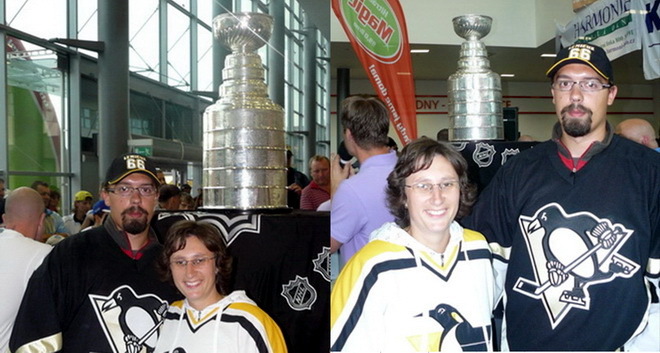 After waiting of an hour in line we got succesfully his autograph and photo with Cup. All photos from this meeting you can see on webalbum. 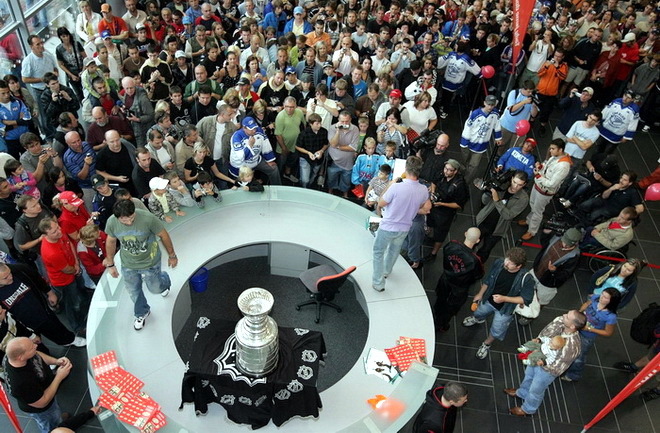 The whole journey of Stanley Cup you can see on this page.